A certified Reiki practitioner performs it and there are three levels of Reiki practitioners. On the first level, the practitioner learns about Reiki, the history, and gets attuned with the Reiki energy. On the second level, the Reiki practitioner gets attuned with the three sacred symbols and learns how to apply them on a session. On Reiki level three the person gets attuned with the Master symbols and learns how to attune others on the three Reiki levels with the intention of becoming a teacher at times. It is important to know that Reiki is used as a complementary holistic healing technique and that many times it is combined with other techniques to best help the client's healing process. It is activated by intention. The Reiki practitioner performs it by having the person receiving Reiki laying or sitting and the Reiki practitioner hovers his/her hands around the energy centers of the person's body. A typical session usually lasts from 45-60 minutes. Reiki practitioners charge an average of 40$-120$ per hour on average. For best healing results it is good to receive at least three sessions every so often. 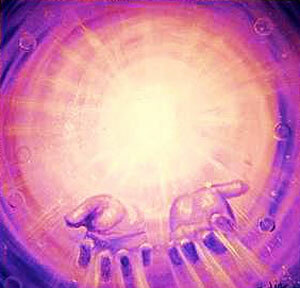 Whenever the Reiki practitioner is giving Reiki, the practitioner is also receiving it. Reiki practitioners are always encouraged to practice their own self-healing before working on others. So whether you want to be exposed to a great practice that will bring balance, relaxation, and release unwanted energies, or want to become a Reiki practitioner; Reiki is a great holistic technique to add into your healthy lifestyle. If you would like to know more about Reiki, receive a session, or learn this amazing technique, reach out to me or visit my website!